Fantasy Live allows each team to try and predict the driver who will win the pole each week. You do not have to make a pick, but if you do and you are correct; your fantasy team will earn 5 bonus points. These points can add up and be the difference in a few positions in your league standings so we need to get them right this year. There have been 8 races this season and we have had 8 different pole winners. That streak should come to an end Friday. 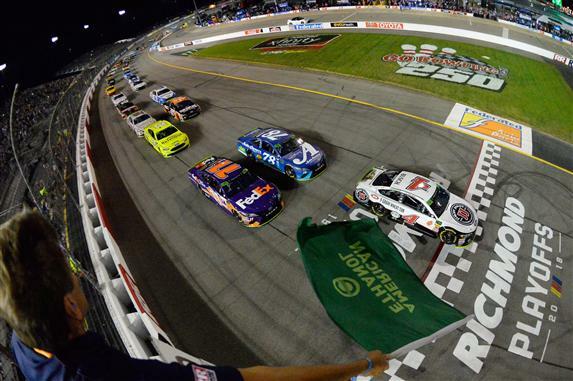 Joe Gibbs Racing has been very good at Richmond and Denny Hamlin has been on a hot streak this season. Hamlin has 3 poles at his home track. Hamlin was 2nd fastest in practice. I think he will another pole this week (if it is not canceled for rain). ** If qualifying is rained out, Kyle Busch would earn the 5 bonus points for the pole. Just be ready to make the switch if it is raining after Xfinity Series qualifying.